In an elegant update on the classic white shirt, this Aprico version features dramatic collar ruffling and flared sleeves. 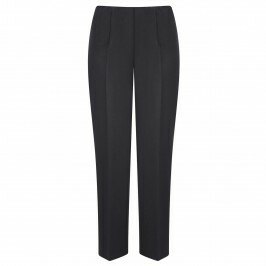 Team with tailored trousers and patent heels for a stylish take on workwear. White jersey shirt with crepe ruffles at neck and cuffs. 100% Polyester. Cool Machine Wash or Dry Clean.